New York Judge Denise Cote on Wednesday assigned Apple a third-party monitor to ensure compliance with federal antitrust laws, one result of the U.S. Department of Justice's successful case against the company over e-book price fixing. 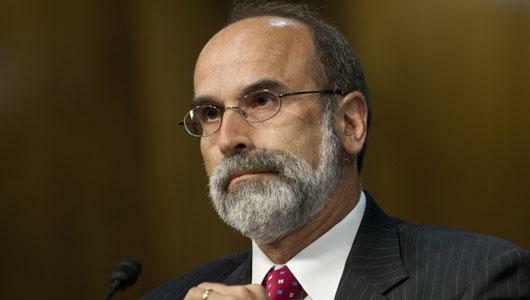 Judge Cote's order named former DOJ Inspector General and federal prosecutor Michael Bromwich as External Monitor at Apple, a position he will keep for a period of two years. Prior to his role at the DOJ, Bromwich most recently served as the first director of the Bureau of Ocean Energy Management, a body created in response to the 2010 Deepwater Horizon oil spill. Also of note, Bromwich served as an independent monitor to the Metropolitan Police Department of the District of Columbia in 2002 and was one of three federal lawyers in the U.S. case against Oliver North. As noted by CNET, the two-year term is far less than the five-year injunction Apple was handed as part of the July ruling. The company is currently barred from joining i any "most-favored-nation" clauses with e-book publishers, as well as any content provider. For its part, Apple said during the trial post-trial proceedings that an external monitor was unnecessary and would cause undue burden for the company, but Judge Cote disagreed, saying that Bromwich's presence is a result of "blatant" antitrust violations. In July, Apple was found guilty of colluding with five major book publishers to fix the price of e-books sold on the iBookstore. When handing down her ruling, Judge Cote promised a "light" injunction against Apple's business. Both parties made concessions on the final terms for a remedy, with Apple agreeing to stagger negotiations with book publishers, while the DOJ trimmed its injunction demand from ten years to five.